Just a friendly reminder, Futurama returns tomorrow after being cancelled. This is the start of the 6th season, and the first episode is called “Rebirth”. Which is fitting since at the end of “Into the Wild Green Yonder” everyone pretty much died. 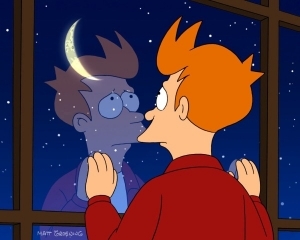 This entry was posted in Entertainment, Family, TV News and tagged Fry, Futurama, Rebirth, TVnotice on June 23, 2010 by Brad.